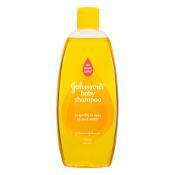 Baby’s JOHNSON’S® baby Conditioning Shampoo is as gentle and mild to the eyes as pure water. To help keep your baby's delicate skin protected, use Olive Baby Moisture Milk. It's mild and pH balanced formulation is made even better with extra virgin olive oil and vitamin E to help guard against chapping, chafing and dryness. Enriched with natural colloidal oatmeal and rich emollients, this non-greasy, soothing cream absorbs quickly and is clinically proven to restore lost moisture for 24 hours. 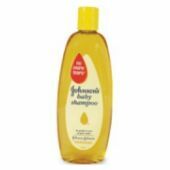 Hypoallergenic and fragrance-free, it's gentle enough for daily use on infants and babies with dry, sensitive skin.